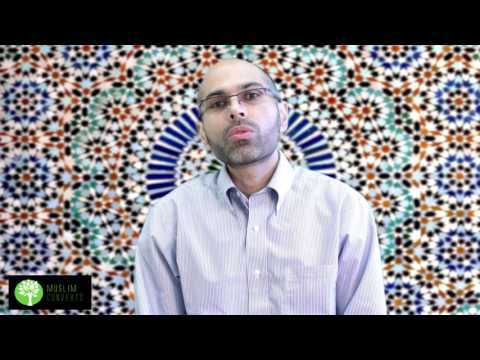 In this lesson, we will be looking at two issues in Islamic law. The first is a concept called taqlīd which is a process of following a Muslim jurist as a source or reference for Islamic law. The second issue is the tawḍīh al-masā’il which are treatises on Islamic law that contain answers on Islamic practice. One who proceeds on a path in the pursuit of knowledge, God makes him proceed therewith on a path to the Garden (Paradise). And, verily, the angels spread their wings for the seekers of knowledge out of delight. Verily, every creature of the heaven and the earth asks forgiveness for the seeker of knowledge, even the fish in the sea. The merit of the ‘alim (the learned) over the ‘abid (the devout) is like the merit of the moon over the stars on a full-moon night. The learned are the heirs of the prophets, for the prophets did not leave behind a legacy of wealth but that of knowledge. So whoever partakes of it derives a plenteous benefit. Few people have the time or ability to become scholars of Islamic law. Knowing the law and how it is derived is not an easy thing to do. It takes years of study, practice and time. In our day to day lives, we constantly refer to sources of authority. When we are sick, or have medical questions, we go to medical doctors. When we want build a house, we go to architects and engineers. No one can know everything, except for Allah. Muslim jurists or scholars of Islamic law, are just like doctors. They are a group of people who have studied the law for years in order to uncover truths about divine law. The process of following a scholar of law is called taqlīd, which literally means to “imitate” where we imitate his laws. For taqlīd to be valid, the scholar in question must hold a number of characteristics. These characteristics include, among other things, being just, not having committed major sins and being knowledgeable about Islamic law. Since we're not experts, it is obligatory to do taqlīd. We must do personal research or ask knowledgeable members of the community on who the most knowledgeable marjaʿ is. A marjaʿ is a jurist whom one does taqlīd of. There are, of course, other alternatives to taqlīd. The most obvious one is for you to be a scholar of law yourself. Another alternative is something called ihtiyāt or precaution where one studies the rulings of all the top Marjaʿs and after we've done this we take the most conservative opinion. When a marjaʿ gives a definitive verdict on a legal matter, this verdict is called a fatwa. Fatwas can be obtained in various ways. A popular way to get a fatwa nowadays is online. A person can find his or her marja’s website and look through the question and answer section of the site. Sometimes the subject or answer we’re looking for cannot be found, so the website will have another option of emailing the Marja’s office directly. In the vast majority of cases, the Marja himself does not answer the questions, it is usually the Marja's students who are familiar with his legal positions. When students don’t know the answer, they will usually ask the Marja himself. There is no set deadline for the questions to be answered. It all depends on the resources that a Marja has and the number of staff working under him. It also depends on the type of question that is being asked and whether or not the question must be redirected to the Marja’ himself. These works are usually short in nature and rarely go over two volumes. They’re meant to be compact for believers so that they can carry them around. The contents of these works cover most of the major areas of the law. The chapters begin with Taqlīd, and then go into ritual practices related to ritual purity (tahāra), prayer, fasting and then move on to non ritual laws like marriage, business transactions, and so on and so forth. This genre of legal literature therefore gives us the foundations of correct Islamic practice. Reading these books are pursuits of genuine knowledge that can teach us how to obey God and avoid sin. "If anyone travels on a road in search of knowledge, God will cause him to travel on one of the roads of Paradise. The angels will lower their wings in their great pleasure with one who seeks knowledge. The inhabitants of the heavens and the Earth and (even) the fish in the deep waters will ask forgiveness for the learned man. The superiority of the learned over the devout is like that of the moon, on the night when it is full, over the rest of the stars. The learned are the heirs of the Prophets, and the Prophets leave (no monetary inheritance), they leave only knowledge, and he who takes it takes an abundant portion. It is a book that contains all the major answers to legal issues in almost all the major areas of Islamic practice and ritual by a Marja. The Arabic version of Tawzīh al-Masā’il, which are usually in Persian. Are the Tawzīh al-Masā’il available in English? Yes, for most major Marjas in today’s world, there exists English translations of their works.